Headed by Snarky Puppy's multi Grammy-winning percussion duo of Robert Sput Searight and Nate Werth, Ghost-Note is an explosion of sound. With an expansive roster of next-level musicians--representing members of Prince, Snoop Dogg, Erykah Badu, Herbie Hancock, Kendrick Lamar, Marcus Miller, Toto, Justin Timberlake, and more--the band is pushing funk music into the future, building on the uplifting, pioneering foundations laid out by the likes of James Brown and Sly & The Family Stone and infusing their fresh take with tastes of afrobeat, hip-hop, psychedelia, world folklore, and more. With the release of 2018's Swagism, Ghost-Note has made their mission clear. The album puts rhythm at the forefront, with irresistible, heavy-hitting beats underlying the group's wild, rich music. 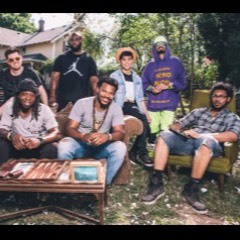 Featuring numerous guest collaborators, including Kamasi Washington, Karl Denson, Bobby Sparks, Nigel Hall, Taz, and others, Swagism showcases the band's stunning ability to meld and amplify sounds, ultimately adding to Ghost-Note's sharp, complex collaborations. Fearless, both in Swagism's sonic depth and conscious social commentary, the band easily translates this adventurousness in a live setting. Ghost-Note's live performances are bold and in your face, with the group offering up none of the tight-laced pretenses frequently associated with the band's jazz roots. Focused on creating seductive dance-able grooves and a contagious feel-good energy, each show is an opportunity to let loose and connect, for both fans and the musicians alike.